Each of my students has its own repertoire. In my lessons I don't try to persuade them to learn other openings. I only made 1 exception when we discussed the theme "material and time". Using a very interesting and unknown idea in the mainline of the Evans-gambit I tried to stimulate my students to get less attached to material and focus more at keeping the initiative. So normally I don't teach about openings. There are enough good opening-books in which you can study something quickly which is sufficient for playing a nice game as clubplayer. Besides specializing into an opening is very time-consuming and it makes no sense without using the best engines (see studying openings part 2). Nevertheless it is good not to restrict yourself solely to looking at games within your own repertoire. Not seldom an idea of another opening can be used in your own openings. Many openings have similar pawn-structures so same ideas can pop up. The American grandmaster Grigory Serper wrote recently 2 inspiring articles how to study master chess games and more lessons from master games. 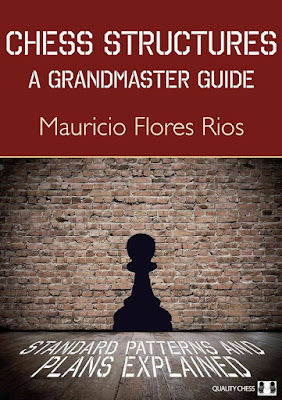 Another big step forwards is Chess structures A grandmaster guide written by the Chilean grandmaster Mauricio Flores Rios and published in 2015. In 22 chapters the author described the most important pawn-structures and the standard-plans connected to them. 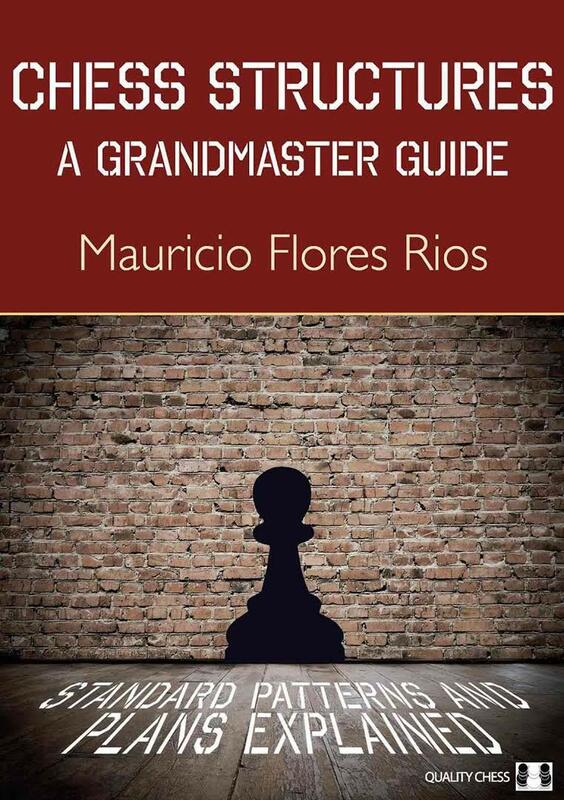 Maurio tells us in the introduction that he missed this book when growing up as player to grandmaster. So he found it about time to change this. It is no bragging as I read at chessexpress.blogspot that also other players were for many years searching for such type of book. I expect that the book is most interesting for players between 2000 - 2300 elo. In that segment you should build up a more serious repertoire so the knowledge of the different pawn-structures becomes valuable. But also for higher rated players there is still something to learn. I agree with the review at New in Chess from the strong British grandmaster Matthew Sadler that the chapter about the Hedghog from white's perspective is very informative. I already scored some good results from having learned the attacking-scheme with Qc1 see below online blitzgame. So we can detect in our openings many connections. Strong players will often be able to adopt ideas in an opening which they saw from another opening. However it is not always that simple. A couple of years ago I met with white a Caro Cann. Black only 1700 elo knew the standard pawn-sacrifice of this pawn-structure and got a good game. Only recently I discovered while analyzing one of my games that I could have played the same type of pawn-sacrifice but in a completely different opening: the Ilyin-Geneveky variation. The move I played wasn't bad but for sure b5 was more critical. The resulting position is very sharp especially for white. I never thought about this concept in the game. In the meanwhile I did apply the same theme already successfully a couple of times in similar positions of the Ilyin-Geneveky variation online. It is often necessary to learn long strings of moves to survive an opening. However not less important are knowing the big schemes of the most common pawn-structures. Many players have no clue what they need to play after the opening. " Chess Structures" won't offer always an answer of course but it is today the best medicine to improve the chances by spending little time.